This cover does more than just protect your mattress. This mattress protector aids in improving your night's sleep with channel-weave construction that facilitates airflow; transporting heat and moisture away from your body creating a more comfortable sleep. Not to mention, the high tech advanced performance material, the wicking water proof cover (which is non-allergenic and odorless) protects your mattress from stains and liquids. Stretchwall skirt fits up to a 22" mattress. 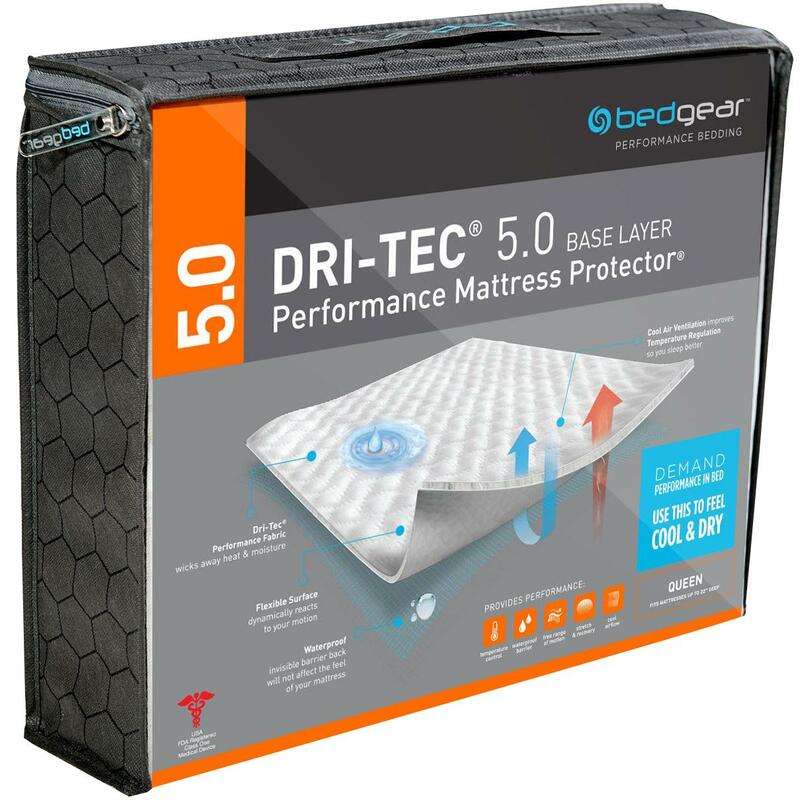 The Dri-Tec® 5.0 Dri-Tec® Twin Wicking Waterproof Protector by Bedgear at Household Furniture in the El Paso & Horizon City, TX area. Product availability may vary. Contact us for the most current availability on this product. The Dri-Tech® incorporates advance fiber technology that does more than protect. It provides moisture transport and heat dissipation to help you sleep cool and dry. Dri-Tech® helps regulate body temperature to follow your natural sleep rhythm, reducing tossing and turning. Dri-Tech leads the way in improving the quality of a night's sleep. The Dri-Tec® collection is a great option if you are looking for Bedding in the El Paso & Horizon City, TX area. Browse other items in the Dri-Tec® collection from Household Furniture in the El Paso & Horizon City, TX area.